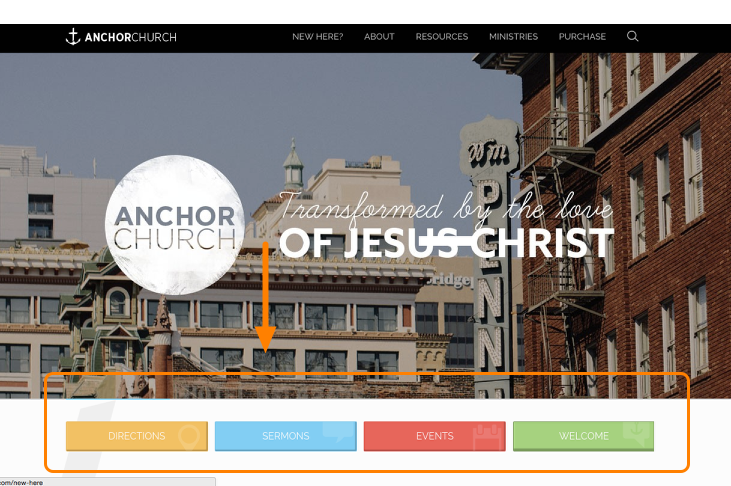 There are a number of sections that can be edited on the homepage. 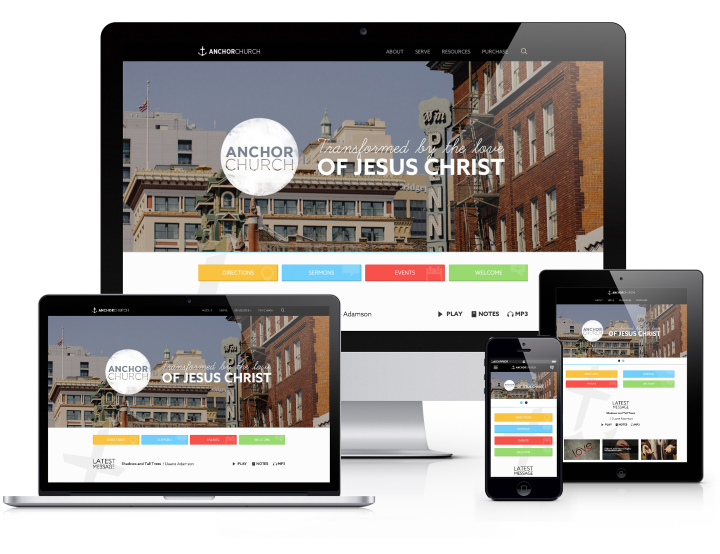 Anchor Church, the MK021 instasite, is responsive and displays differently on different devices. 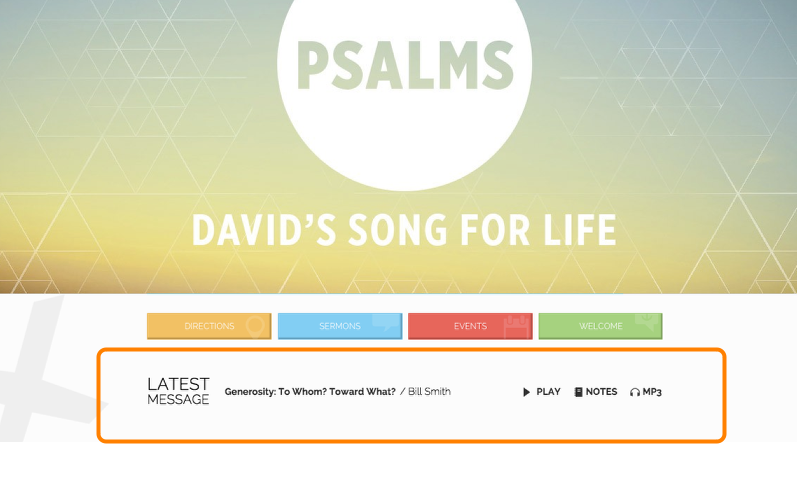 Below is an example of how a homepage would look on some (but not all) common devices. Each button needs the following inputs filled. 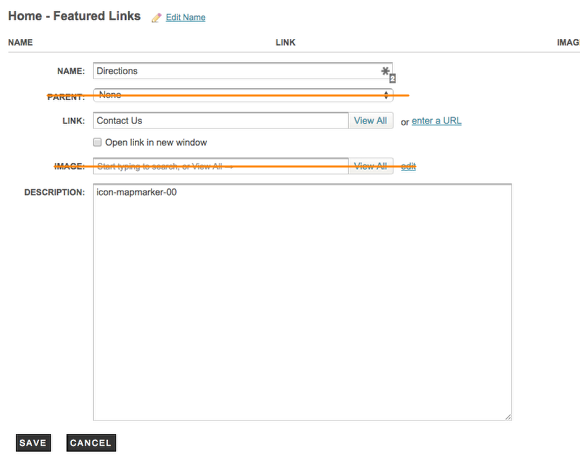 The Featured Links section can be edited by navigating to Content > Pages > INDEX, and specifying 3 sections for "Footer Featured 1", "Footer Featured 2", "Footer Featured 3". See the sections help article for more information on editing this content.